This well maintained 20 ft. wide two family attached brick is located on a serene and lovely Bath Beach block. Owner's apt. features a modern kitchen and bath, living room, dining room and two bedrooms. Modern 6 room rental on second level. 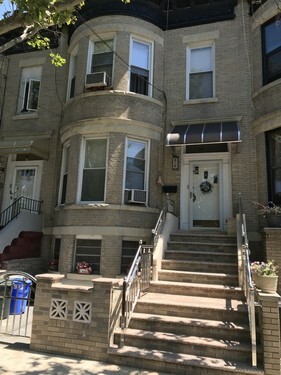 Full basement with separate front entrance. New hot water heater and boiler. Hardwood floors. New granite exterior front steps.